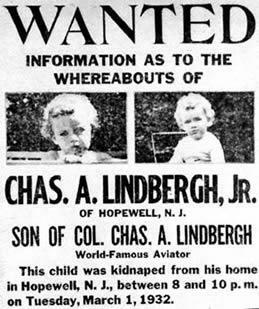 On this date in 1932, Charles Lindbergh Jr., the 20 month old son of the famous aviator, was kidnapped from the family’s home near Hopewell, NJ. After weeks of negotiations, a ransom was paid and instructions were given where to find the child. The instructions, which directed the family to a nonexistent boat in Martha’s Vineyard, MA, were bogus. The boy’s body was found on May 12th in the woods near the Lindbergh home. The investigation went on for two and a half years. In September of 1934, Bruno Richard Hauptmann was arrested after passing some of the gold certificates from the ransom. A search of Hauptmann’s home yielded over $13,000 of the ransom money. 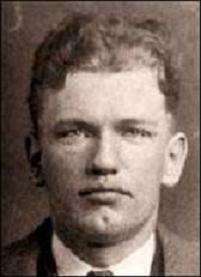 Hauptmann maintained his innocence, but was convicted of murder. He was executed by electrocution on April 3, 1936. As a result of the Lindbergh case, the federal Kidnapping Act, also known as the Lindbergh Law, was passed making kidnapping a federal offense, falling under the jurisdiction of the FBI. On this date in 1932, “Scarface” Al Capone boarded a train for Atlanta to start serving his prison sentence for tax evasion. Big Al learned the hard way that there are some lines you shouldn’t cross. Lie, cheat, steal, bribe, bootleg, murder–knock yourself out, dude. But you’d damn well better PAY YOUR TAXES! 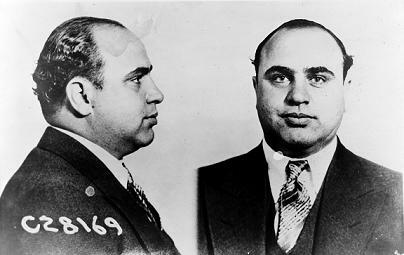 Capone was released from prison in November 1939 after 7 1/2 years behind bars. The repeal of Prohibition put a hurting on his business. Syphilis put a hurting on his brain. He died of cardiac arrest in 1947.